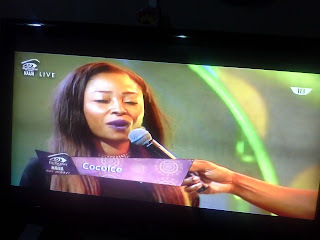 Cocoice has been evicted from the big brother house after 21 days. She was nominated alongside Bassey, Debbie Rise, Gifty and Bisola. 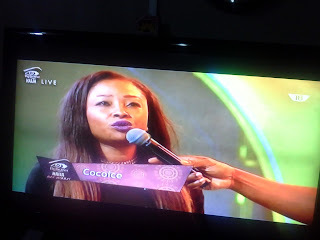 Debbie Rise and Cocoice were sent to the house arena. Finally Gifty and Debbie Rice were saved while Cocoice was evicted. Wishing her the best of luck.